The feedback I have received on The Asking Formula has, since its creation, been nothing short of a phenomenon. People who have taken in the book, a workshop, the ASK U app, or our publications have shared their unique stories on how The Asking Formula program has changed their lives. Many have said they wished they had been exposed earlier to The Asking Formula, as they can imagine the positive impact it could have had on their career and personal relationships. As Warren might say, “I like to keep things simple, and, generally speaking, you don’t get what you want in life unless you ask for it.” So, learning how to ask in the most effective way possible is a crucial skill and essential to our success. For you to pass The Asking Formula along to someone in your network and to become an asking formula agent: someone who knows the secret of persuasive communications. I’m asking you to share this book and its message with those you feel can benefit. WHY? You’ve enjoyed this book’s simple and straightforward message, and so will others. 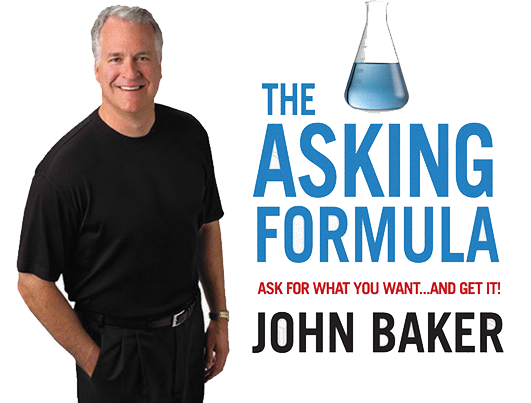 The Asking Formula is one of the most immediate and accessible ways to generate self-improvement. You have decided that The Asking Formula can make you a better, more persuasive, and confident communicator. Sharing the methodology with those in your network simply means you’re interested in giving them a best practice to do the same. The Asking Formula can profoundly improve the outcomes we seek in our lives.